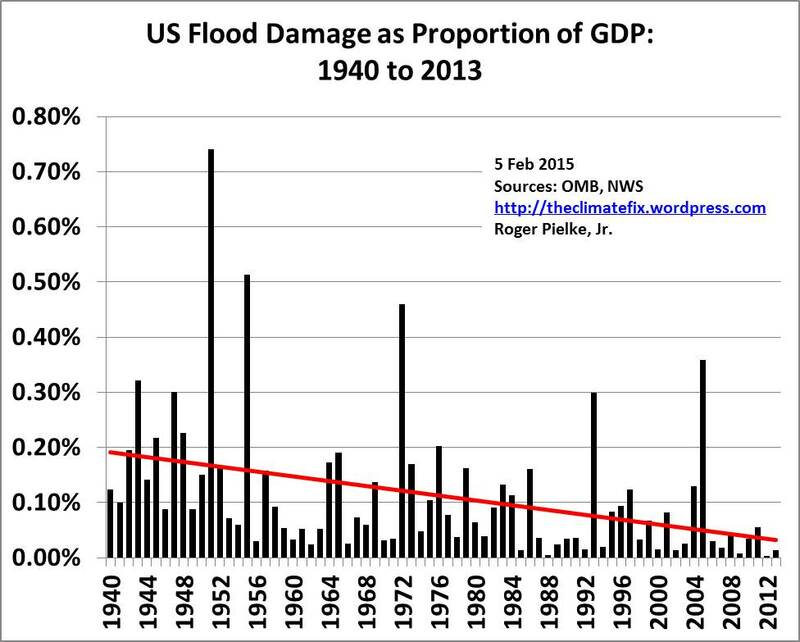 I don’t think comparing agricultural flood losses to GDP is very instructive. The proportion of income spent on food declines as productivity increases. So the graph (I think) says more about productivity gains than anything about flooding or flood mitigation. Consider a case where every year 20% of agriculture was lost to flooding — with no trend either way. The percentage of GDP lost to agricultural flooding would still decrease. The graph would probably look very similar to the one you posted. 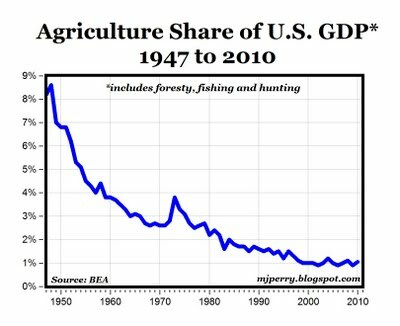 I think it would be instructive to see the flood damage as a percent of agricultural output. Pingback: Weekly Climate and Energy News Roundup #167 | Watts Up With That? How would that help, if most of the damage is non-agricultural? Generally floods spoil a single crop, not even spoiling the land it is on, whereas infrastructure can be set back decades as roads and (very expensive) bridges are washed away. To take a counter example. If we took losses as a percentage of the urban infrastructure, the decline is probably steeper (as over the period of the data there has been massive industrialisation and urbanisation). GDP is a way to allow for the fact that the economy has changed.